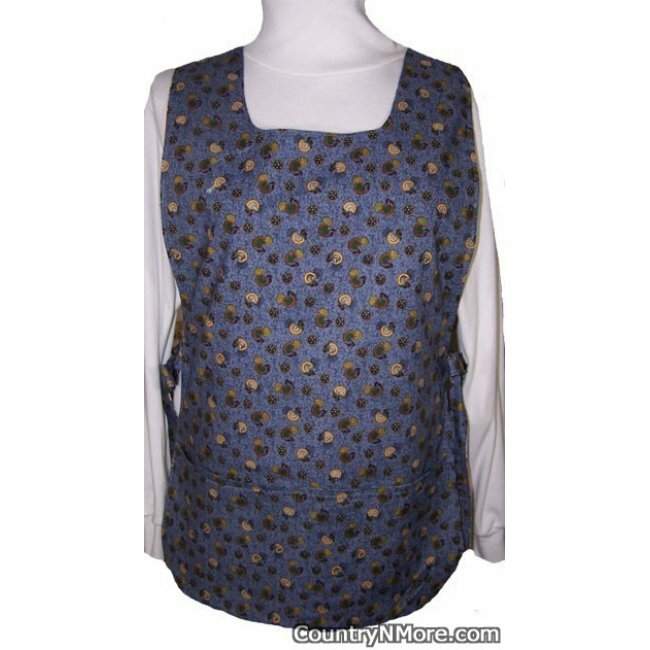 This darling country cobbler apron is unique in every way. The print for the front has roosters, ducks, pigs, sheep and even bunnies. 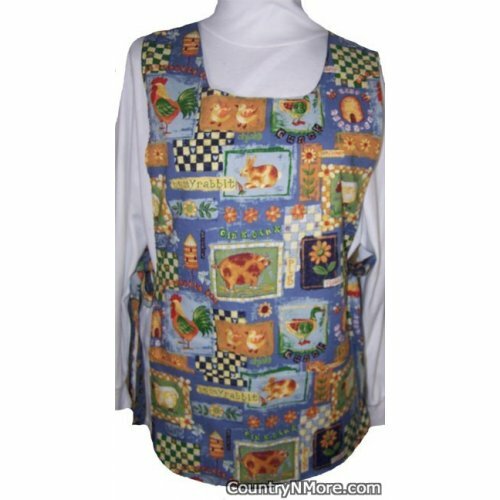 The reverse side of this cobbler apron is made from all allover rooster fabric. The background color is a country blue and it has miniature roosters throughout the print.